Father Quintana: Where are you leading us? Teach us how to seek you out. 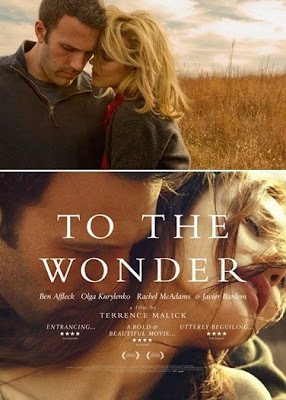 To be honest, it is an actual wonder to me that Terence Malick actually thought his latest film, TO THE WONDER, to be finished. 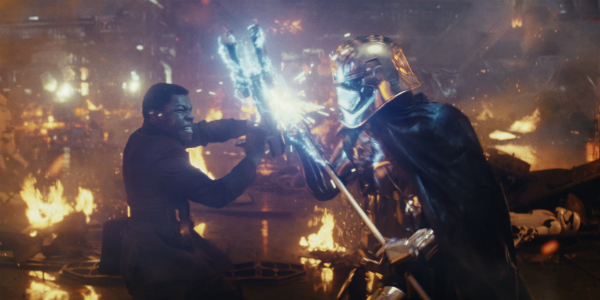 I don’t see how on any level he could have watched this film and thought that it would be satisfying for any audience, from his devout fans (of which he has many) to the casual filmgoer. Even at a reasonable two-hour runtime, I found it difficult to get through TO THE WONDER. I lost my patience about half way through and by the end, I actually found the film to be practically insulting on the part of the filmmaker. The man is famous for taking forever to finish a movie. Why he rushed this one, I will never understand. There is a story embedded somewhere deep within TO THE WONDER, which is essentially the crux of the issue. 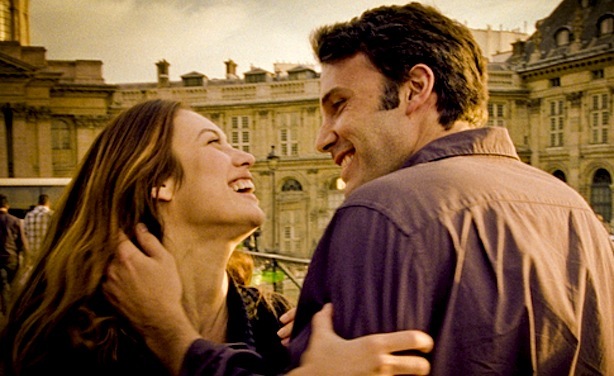 Ben Affleck and Olga Kurylenko fall in love in France and eventually make their way back to America, Oklahoma to be precise. There, she is out of place and he does not know how to make the relationship work. There are also subplots that involve Javier Bardem as a displaced priest and Rachel McAdams as a woman from Affleck’s past. The plot itself is thin enough already but it is clear from Malick’s execution that he has no idea how to tell this story. A slew of supporting characters never even made the cut (from Michael Sheen to Rachel Weisz) and Malick buries the rest of the story (which consists mostly of misery) within one long stream of consciousness poem. Now, I’m no poetry expert but even I know lines like, “What is this love that loves us?” are nothing but pretentious crap. Malick is under no obligation to make movies for anyone other than himself. I’m sure his producers would disagree with that statement, but as an artist, he is entitled to express himself any which way he would like. After last year’s masterpiece, THE TREE OF LIFE, Malick seems to have found a pattern that he is fond of. He is not the least bit concerned with dialogue or convention (Affleck speaks so little in the film, for a while, I thought his character might actually be mute); no, Malick is more concerned with the image and the tone of the piece, and allowing life to unfold rather than having it told. TO THE WONDER often feels like an attempt to recreate the same aesthetic of his last project, and at times, at least visually, thanks to the always brilliant work of cinematographer, Emmanuel Lubezki, it is striking to behold. THE TREE OF LIFE was about something though (and some might argue, it was about everything), while TO THE WONDER is about so little, it never justifies all the work involved in watching it. This infuriating film is not just a misstep for Malick, but a full on embarrassment.